. ​ Adam's style has been coined Millennial Jazz because it has been heavily influenced by access to social media arts. Couple that with a rich traditional jazz history and you get an improvisational language that reaches every generation. All About Jazz musician pages are maintained by musicians, publicists and trusted members like you. Interested? 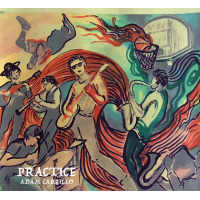 Tell us why you would like to improve the Adam Carrillo musician page.